The Family First Prevention Services Act (FFPSA), passed as part of the Bipartisan Budget Act in February 2018, presents a new funding option for states to provide mental health and substance abuse services in order to prevent the placement of children in foster care. The number of children entering foster care has increased in recent years, fueled in part by the opioid epidemic. While the data is not broken down by the type of substances abused, in 2016 34 percent of out-of-home placements were attributed to parental substance misuse or abuse. As a result of FFPSA, for the first time states will be able to use federal Title IV-E funding to pay for services to address mental health issues, provide substance abuse treatment, and provide in-home, skill-based parenting programs for a 12-month period. Title IV-E provides funding for state foster care and adoption assistance services. States electing to fund these services under Title IV-E would receive a 50 percent federal match for the services from 2019 to 2026, and then the match would revert to funding by the state’s Federal Medical Assistance Percentage. 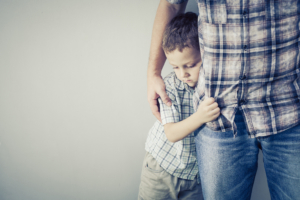 Parents or family caregivers of children identified as candidates for foster care, if the delivery of services could prevent the entry of their child into foster care. What mental health and substance abuse services will states be allowed to cover with Title IV-E funds? The general types of services that FFPSA lists as eligible for Title IV-E funding are: services to address mental health issues, substance abuse treatment, and in-home parenting skill-based programs. The act stipulates that services must be evidence-based and “provided in accordance with promising, supported or well-supported practice.” It will be important to track and follow the development of the federal standards, including the specific services covered and the implications for coverage of these services. Which federal funding source will be responsible for covering an individual service? Medicaid is typically the “payer of last resort” in cases where an individual has coverage from another program or insurer. This is known as third-party liability. In cases where Title IV-E funding is used for medical services for Medicaid enrollees, future federal guidance will likely clarify which payer — Medicaid or Title IV-E — will be responsible for covering services. How will mental health and substance use disorder services be structured, delivered, and coordinated at the state level? FFPSA expands the role of child welfare agencies in providing health care services. The vast majority of children in foster care are eligible for Medicaid, which covers mental health services as part of the Early and Periodic Screening, Diagnostic and Treatment child health benefit. Adult beneficiaries living in Medicaid expansion states receive some substance abuse and mental health services because these states are required to provide these services under the Alternative Benefit Plan. Additionally, in non-Medicaid expansion states, certain parents with very low incomes are eligible for Medicaid, which may also cover some mental health and substance use disorder treatment services under the Medicaid state plan. For a state interested in using Title IV-E funds for these services, they will want to consider how to determine an individual’s existing coverage or eligibility for coverage and how that is coordinated with Title IV-E funded services. This will require coordination between the state agencies responsible for existing coverage programs – particularly state Medicaid agencies. How will states monitor and provide new preventive services? Depending on what services can be covered by this program, it is possible that new services may be covered by Title IV-E funds that are not currently covered by other federal programs, such as Medicaid. This may require states to manage services and reimburse providers not currently credentialed or known to the state. Additionally, a payment system will need to be established for providing Title IV-E funding to those who are providing the approved set of mental health and substance use disorder services. How will states track newly-eligible Title IV-E recipients? FFPSA will expand the population of people eligible to receive Title IV-E funded services. The newly-eligible population will include family members of children who are candidates for foster care without an income limit imposed. As a result, states may need to adjust or create new child welfare eligibility systems to be able to track enrollment in this prevention services program. Preventive services are also only able to be provided for a 12-month period, so systems must be able to track this time limit as well. What will be the financial and administrative burden be for states that opt to provide mental health and substance use disorder services using Title IV-E funds? States electing to provide prevention services with Title IV-E dollars are required to demonstrate maintenance of effort (MOE) under Title IV-E at FY2014 levels for the three categories of populations eligible for the prevention services. It remains to be seen how much of an impact this MOE requirement will have on states’ willingness to pursue this option. States that opt to provide preventive services must comply with reporting and evaluation requirements stipulated in FFPSA, which are in addition to existing Title IV-E reporting and evaluation requirements. FFPSA presents an opportunity for states to address the underlying issues leading to an increase in the placement of children in the child welfare system. States interested in pursuing these options will need to understand how the preventive services now covered by Title IV-E funding are coordinated with existing coverage for services, and the system changes needed to provide these services. The National Academy for State Health Policy will continue to monitor implementation of FFPSA at the state and national level.